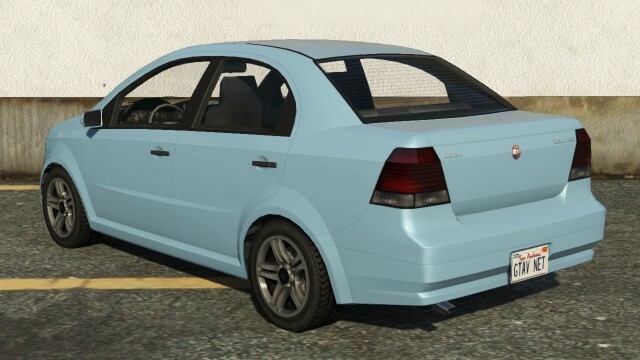 The Declasse Asea is a compact 4-door sedan in GTA 5. 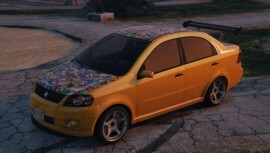 In single-player mode, the Declasse Asea is one of the rarest cars in GTA 5, being challenged only by the Clown Van. It is, however, a purchasable vehicle in GTA Online, and as such, is not a rare vehicle. Prior to The Business Update, the Declasse Asea was not readily available in Online, as it was not purchasable and did not spawn normally. In the enhanced version, however, it no longer becomes a rare vehicle. The Asea appears as the ‘little brother’ of the Declasse Premier since both cars are similar in build and have the same manufacturers. The front of the Declasse Asea has the headlights on both sides of the car, with the grill being situated in the high-center of the front with the Declasse badge in the center. The side has character lines mainly on the front doors, with the wheel wells bulging slightly to the outside. The hood bulges upwards lightly, and increases in height as it gets to the windshield. The other character line spans the entire length of the car, untul it gets to the rear effortlessly. 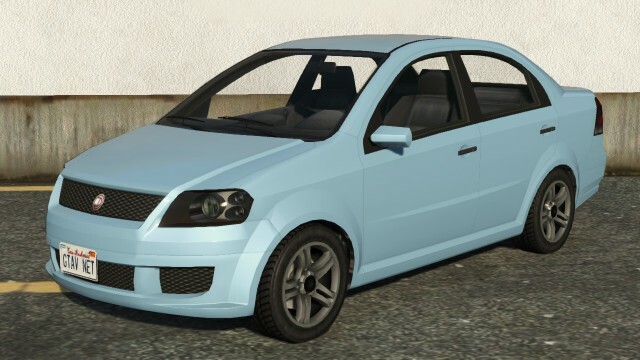 The Declasse Asea features a tall, narrow body that is significantly inspired from the second generation Chevrolet Aveo sedan (also known as Chevrolet Lova in Asia and Holden Barina in Australia), as well as the Suzuki Aerio/Liana, with frontal influences from both Dacia Logan facelift and Renault Logan 2013 and the rear from the first generation Dacia Logan with a high rear decklid. The license plate is situated under the trunk lid. 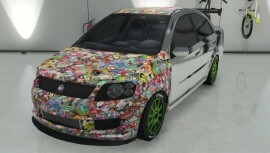 It has many tuner modification options and sticker bomb options in some part of the car, hinting that this car is much more suitable for youngsters and hipsters in San Andreas. If you look closely in the interior there will be a digital clock near the windshield. The Declasse Asea has a lot more power than its realtively small body shape would suggest. The 1.4 litre inline V4 engine apparently boosts more power than its larger counterpart. Handling is superb. It can easily do both bootlegs and J-turns, but unlike the Karin Futo, it has more grip and is easier to control. It should be noted that the Declasse Asea shares the exact similar performance with the Dinka Blista in terms of power and handling, being small but makes up with above average performance. The only downside of the car is the mediocre durability due to its lightweight body. The Declasse Asea can only withstand 3-4 frontal crashes before the engine fails or the axle breaks down. In the end of What Lies Beneath (Strangers and Freaks). It is available at the docks parking lot after you approach Abigail after collecting all of the submarine parts. 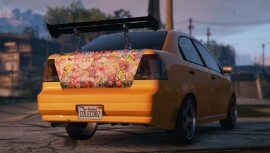 It seem that comes in a special grey color, as when delivered to Los Santos Customs, even the standard color doesn’t appear. Michael drives a blue Asea to the cemetery in Bury the Hatchet. This Asea is covered in snow, and cannot be obtained outside of the mission without modifications. In the tutorial race ‘Mall Or Nothing’ the car is one of the selectable vehicles. If you win, you can keep the Declasse Asea. Can be found in traffic all over the city in the enhanced version. 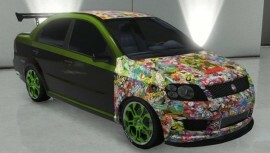 The Declasse Asea available for $12,000 on Southernsanandreassuperautos.com after The Business Update.